seems that i'll go on MAC in near futur (really soon) for my hise projects. But, of course as a windows user, a lot of questions. sure some of them has already been answered. So i used the "ready" Hise 2.0.0 pkg linked with the HISE 2.0.0 folder. The preference says only "Visual studio"
So i discovered that there is VS for MAC. Good news for me if i can use VS instead of Xcode as i already use it on Windows. Documentation says installing ASIO (for win only) and VST. Nothing about AU. 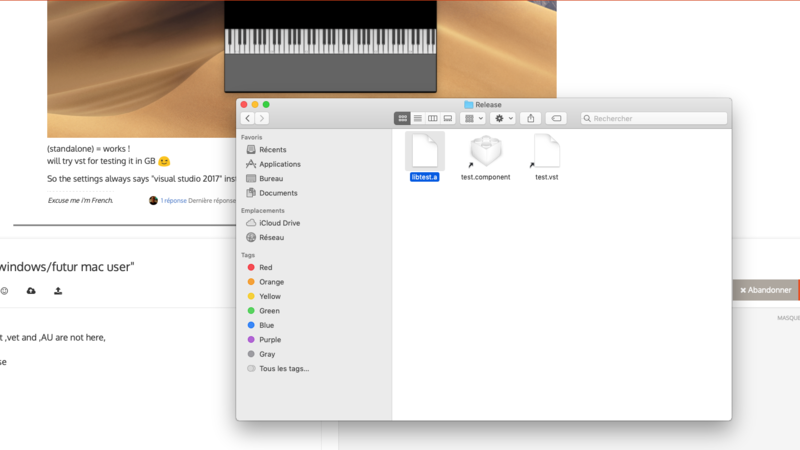 So, finally it's possible to compile in MAC with VS, creating vst (and AU), and in fact doing the "pretty close" same thing on mac than PC ? Sure I read somewhere on here that the new Xcode is supported now? I use an older version 9.4.1, you can download it from the Mac developer site. Think you have to sign up, then you have access to the older versions. You might have to run xcpretty (I think it's called) in the terminal too. AU, don't think you have to do anything, all works here, just copied the VST SDK folder over. Installed the intel one too for reverb. And both for VST and AU, Logic is only AU, where something like Ableton prefers VST, and then AAX of for ProTools. Easy to just do them all! I'm using xcode 10 here. The only time it won't work is if you have the 32bit support option checked in HISE preferences. in the projucer VS2017 stay unavailable (greyed). XCODE yes but having problems. i must find why VS2017 is not available in the projucer. someone has the 2.0.0 compiled for mac (standalone) ready to use ? for the AU/VST= that's my trouble. live plays AU and vst, so no problem creating .vst. But Logic read only AU. 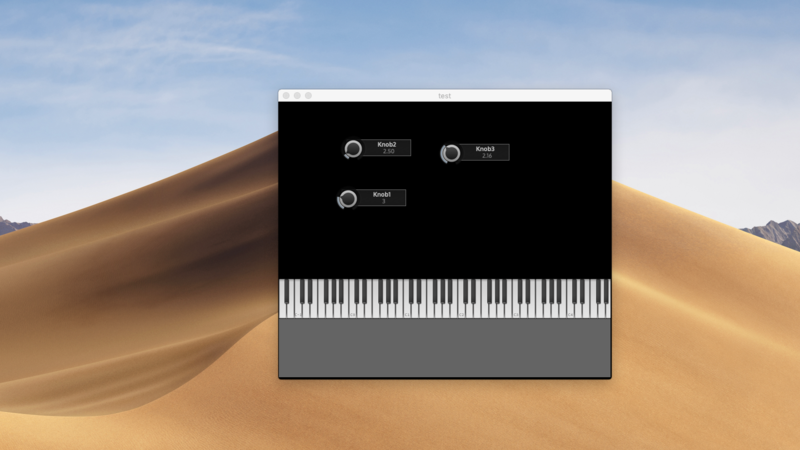 my first goal is to create mac version for Live. Maybe i will study the AU case later. @staiff xcpretty is https://github.com/supermarin/xcpretty You run it in terminal which is in the utilities folder in the applications folder. I'm not sure about xCode 10, think @dustbro might know more. 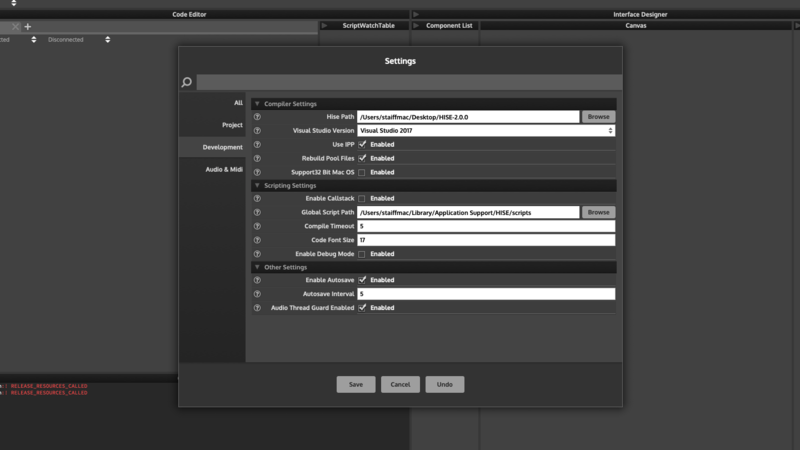 AU/VST, you can just export from Hise as the AU as well as VST, the AU's go in - user(hold down alt and select 'GO' in-between view and window in the finder menu, you'll see the user library option pop up)/library/audio/plug-ins/components. You can test them out in GarageBand, which is free on the App Store. so it seems to be a closed case. for VS2017, it's grey because it's the windows vs2017, not the vs2017 for mac. that's why. so i must reinstall a proper xcode 10.1 for now. @staiff @Christoph-Hart maybe it's a good idea to create a Dev environment setup quick list or something for win and mac. In fact I don't remember what's exactly needed to setup a PC or a Mac. Need to dive in forum for long time to find all of the information. Ok, HISE standalone compiled from the Projucer done. seems HISE don't want to compile with Xcode. arf ! So the settings always says "visual studio 2017" instead of "Xcode", but it works; so NO MATTER ! @staiff install xcode 8 from the App Store. Then you can compile the plugin outside of HISE and see if that works. The Xcode project should be located inside of your Binaries folder within your project. @staiff your compiled plugins exist in a different folder. There is a thread that @d-healey stated that details the export process for mac and PC. You might find the answer there. if I understand well it's a Xcode 10 behaviour ? aaaaaaaaaarg ! of course reaper ! why I didn't think about it before !!!!! Visual Studio on macOS has nothing to do with Visual Studio on Windows. It's just a rebranded version of another IDE called Xenomai, which is admittedly highly confusing. There's no way around XCode on macOS currently (there is another IDE called CLion which might get supported in the future, but even then for compiling iOS apps you need XCode). You don't need anything to compile AU plugins, the SDK is included in macOS by default. If you want to compile on macOS 10.14, you have to disable the 32bit builds in the Projucer projects - this is not the default because some people still need it, but I will change that as soon as you can deprecate 32bit safely altogether (and I am looking forward to this because the sample streaming really benefits from 64bit). maybe it's a good idea to create a Dev environment setup quick list or something for win and mac. In fact I don't remember what's exactly needed to setup a PC or a Mac. Need to dive in forum for long time to find all of the information. This is basically already there, but it needs a bit polishing and updating. If you want, you can edit it here and open a pull request. "Visual Studio on macOS has nothing to do with Visual Studio on Windows. It's just a rebranded version of another IDE called Xenomai, which is admittedly highly confusing." I'm stupid, but not enough to confuse the two. in the projucer project, VS2017 only appears in a "windows" section. It is confusing; and anyway I have not managed to compile hise with VS, but with Xcode. in hise, all projects has only VS2017 available to compile, no Xcode. But when i compile plugin and standalone it works, even if i don't know if it's VS4Mac or xcode working, but it's working and it's the essential. "You don't need anything to compile AU plugins, the SDK is included in macOS by default." discovered it. Not the same thing on Win. what is the "lib .a" file created with the component ? "There is no "better" plugin format (actually there is, but it's completely beside the point). You will need to provide both VST and AU in order to support all available hosts. " Yes. as i created plugins to just test Mac and not distribute it, i compiled both and tested in reaper (that loads both). "If you want to compile on macOS 10.14, you have to disable the 32bit builds in the Projucer projects." yep, Dustbro mentionned this above. the sample library (.hr1) is the same for both win and mac ? if i already made it on Win, i've just to compile the plugin, no need to create the installer again ? (sure the answer is yes). The reason for all this is not to create public Mac plugins, but just that I may be working in a new web development company that only works on Mac. and I only work on PC. I know, web development has nothing to do with VST.